After the fanfare that greeted the arrival of the new Nexus smartphones earlier this week, last year's Motorola-made Google Nexus 6 might seem like a distant memory. 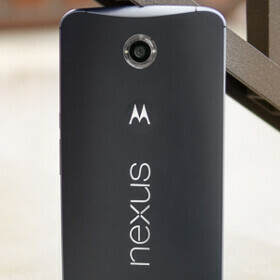 A solid, albeit very large handset, the Nexus 6 still has much to bring to the table. If you're on the hunt for a bargain, the outgoing flagship can be snagged for just $299.99, saving $350 off the suggested retail price. While this particular deal arrives via an eBay vendor, it should be noted that the Nexus 6 is brand new and unlocked, and the seller has an extremely good reputation. If this isn't a problem for you, then you'll surely be tempted by a smartphone that boasts a quad-HD display, quad-core Snapdragon 805 and a healthy 3 GB of RAM. In fact, the only real down-side is that it doesn't include a microSD slot, but even then, there's 64 GB of on-board real estate. Sure, the 6-inch display isn't for everyone. Make no mistake, the thing is huge, and if you've got small hands, you're going to have difficulty in using the Nexus 6 without discomfort. But if you like a smartphone with a large footprint, the Nexus 6 is one of the most sizable around, and as an added plus point, will be among the first to run Android 6.0 Marshmallow when it hits the scene in a few days' time. With an MSRP of $650, this is quite the deal. For $299.99, you'll struggle to get as much bang for your buck, particularly from a reputable firm like Motorola. With the new Nexus 6P here now, the price point for the Nexus 6 is likely to continue dropping. Thus, even if eBay isn't to your taste, there will be other deals, and as we spot them, we'll be sure to keep you in the loop. If you do wish to take a look at this offer, though, check the source link below. Quite a steal for a 6 inch beast. Its a 32GB model for $299.99. i ordered a 64GB model for $400+ also thru eBay. Plan to use as a VR goggle. Not a bad price if you can stand the lackluster camera and the terrible battery life. Camera isn't bad, but I was coming from a Galaxy S4. Meh. Right now you can get: oneplus two for 379$. moto X style for 400$. LG G4 for 400$ nexus 5X for 429$. All of them are much better phones than nexus 6, and are sensibly sized too. 10,000 people have the Oneplus two, but this you can get without an invite. All 10,000 of those people are in Westeros though. Tyrion speaks from experience. Its still a bargain for 299$. The cheapest phone that you have listed is 379$. nexus 5X for 429$ good official support, works with all GSM/CDMA carriers, camera seems mediocre, I stopped here, wish you stated it sooner in your comment! A true bargain for a beast of a phone!!!! Don't want last year's flagship device...good deal though...midnight blue is already out of stock!